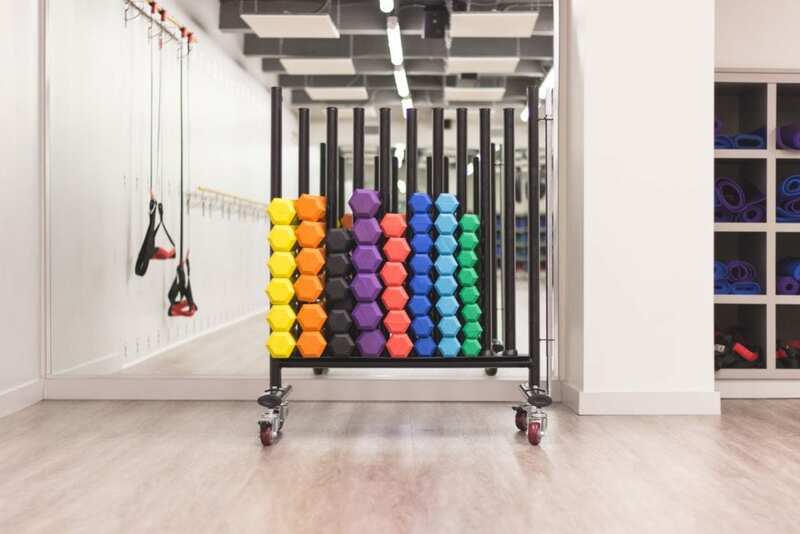 The Breckenridge Recreation Center just went under a $17 million renovation adding roughly 11,000 square feet of new recreation space to the facility just about tripling the size of dedicated fitness space. The indoor tennis courts that were once situated in the lower-level of the center have been replaced by a 17,500 square-foot stand-alone indoor tennis center. Located adjacent to the Breckenridge Recreation Center, the new indoor tennis center was built over top of the existing outdoor hard courts. With the new tennis center, the old space for the indoor courts have been converted into a two-story mecca for fitness. Additionally, the project relocated and expanded the physical-therapy space, updated multi-purpose rooms, added four bathrooms and three changing rooms and upgraded with a new facility-wide stereo system. There have also been some less visible upgrades, like new heating and cooling systems, a new elevator to ease transportation between three levels and new windows on the cardio deck that provides spectacular views of the mountains and brings in more natural light throughout the center. The Breckenridge Recreation Center is also creating a brand-new 2,800 square-foot Youth Wing out of its old weight room. The new space will include a year-round indoor playground, Bearly Big Child Care and dedicated youth program and activity space. While much of the work is complete, the new Youth Wing isn’t expected to be finished until April or May 2018. While the Youth Wing takes shape, programs have been temporarily relocated to the center’s old physical therapy space which will be freed up for things like birthday parties or other uses once the wing opens. All upgrades to the Breckenridge Recreation Center have created more of a community facility which has been long sought-after by residents and visitors of the Breckenridge area. We are so excited about the transformation and are already enjoying the many upgrades at the facility! To learn more about the renovation, please visit the Breckenridge Recreation Center online by clicking here.